Scheduled to perform two New Zealand shows, the tour will support the release of Slash’s fourth solo album Living The Dream, released on Slash’s own label Snakepit Records in partnership with Sony Music New Zealand. In 2016, Guns N’ Roses re-united and Slash joined Axl Rose and Duff McKagan for the ongoing “Not In This Lifetime Tour” which Billboard now ranks as the fourth-highest grossing tour of all time. Ecstatic audiences in Wellington and Auckland witnessed one of New Zealand’s biggest stadium tours of the millennium. Check out the Libel review HERE. 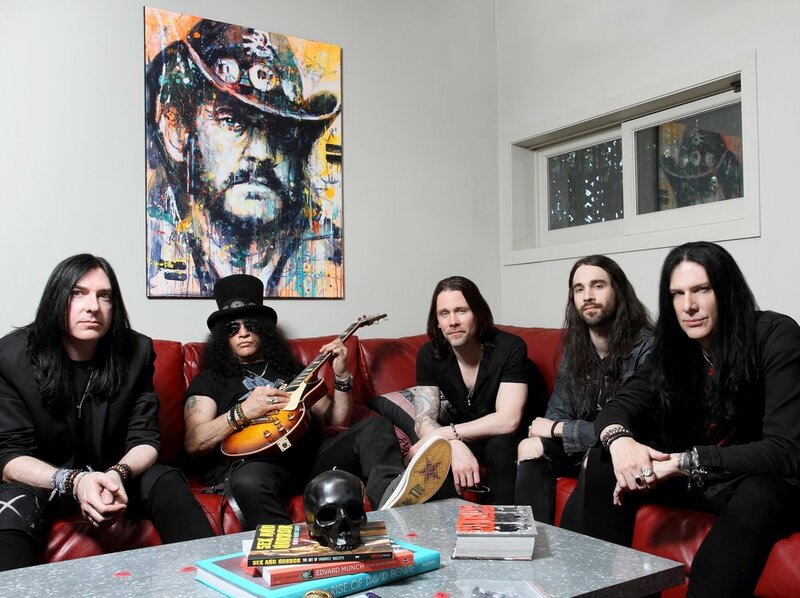 On touring the world again with The Conspirators, featuring singer Myles Kennedy, bassist Todd Kerns, drummer Brent Fitz and rhythm guitarist Frank Sidoris. Slash reveals "I always planned on getting back together with The Conspirators as soon as possible and continuing on with what we started. As much as enjoy the writing and recording process, when I'm creating music it's always with the intent that it should be played in front of an audience... That's what I love the most," Slash enthuses. And truer words were never spoken: it's in performance mode that Slash truly shines. He deals nonstop, electrifying riffs and guitar solos that exhilarate even those seated way back in the nosebleed section. This living legend's unparalleled command of his instrument and alluring stage presence ensure fans return, tour after tour, to admire the way Slash makes his axe sing. There's not another guitarist on the planet that even comes close to rivalling Slash's instinctive, Sunset Strip-honed feel and effortless showmanship. And let's face it, no one else can rock a top hat quite like Slash does! The NZ connection is strong – this will be the bands third tour of the country’s largest arenas and their first date with a Tauranga audience! Make sure you become part of the latest chapter in this band's story when Slash Ft Myles Kennedy & The Conspirators grace a stage near you.